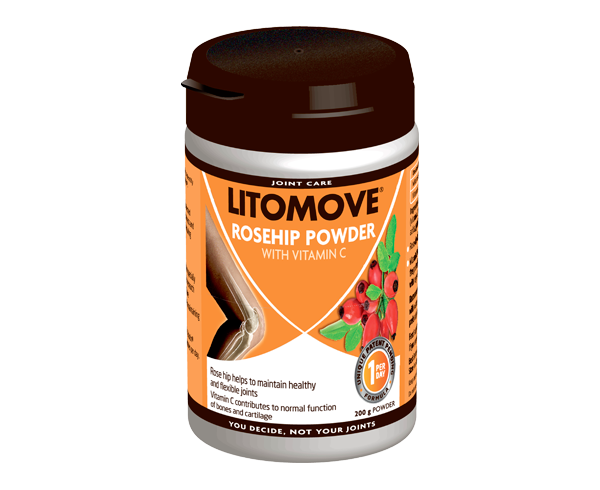 With the new combination from LITOZIN®, people experiencing joint discomfort no longer need to buy and try several individual products. 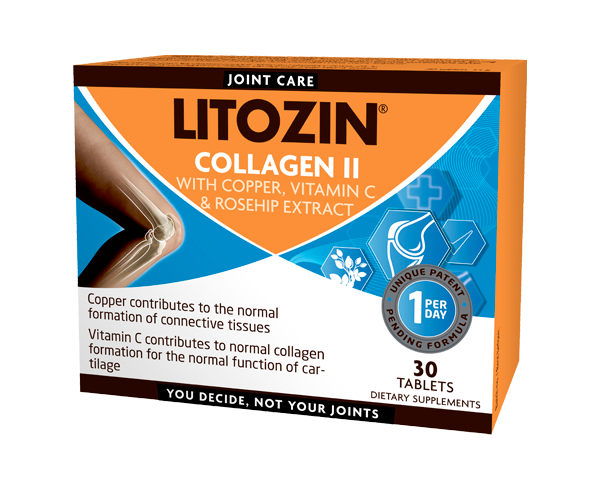 LITOZIN® Collagen combines multi-ingredients into an all-in-one capsule. Collagen is the main structural protein in the extracellular space in the various connective tissues in animals. As the main component of connective tissue, it is the most abundant protein in mammals, making up from 25% to 35% of the whole-body protein content. Collagen is found in bones, cartilage and connective tissue. 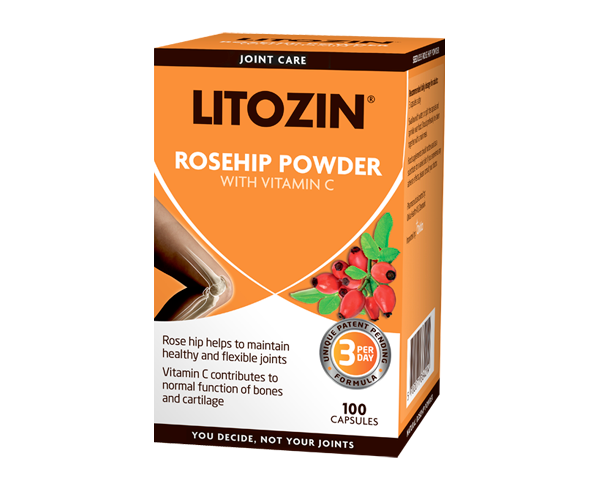 It is Collagen Type II, which is used in LITOZIN® Collagen. 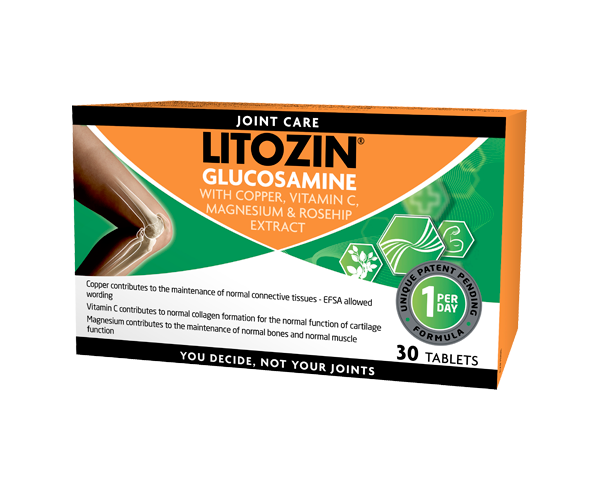 What is Copper and why is it a part of LITOZIN® Collagen? 1 tablet a day. Swallow with water. Should preferably be taken together with a main meal.